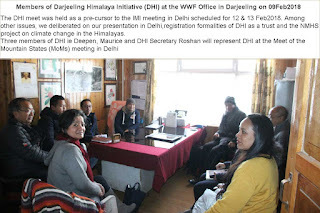 Integrated Research and Action for Development (IRADe) in collaboration with G B Pant National Institute of Himalayan Environment & Sustainable Development (GBPNIHESD) and North-Eastern Space Applications Centre (NESAC), with support from Ministry of Environment, Forests & Climate Change (MoEFCC) under National Mission on Himalayan Studies (NMHS) has taken up a project to develop disaster resilience action plans for Gangtok city. 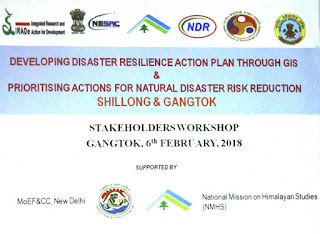 To achieve the desired outcome of vulnerability assessments of the city, along with the development of disaster resilience plans and capacity building on disaster resilience, a “Multi-stakeholder consultation workshop” was organized on 06th February, 2018 at Summit Denzong, Renaissance Hotel, Gangtok. 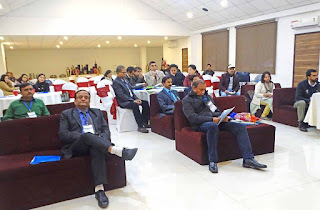 This one-day event was attended by officials from various national as well as international organizations associated with disaster resilience such as Geological Survey of India (GSI)-Sikkim Unit; Land Revenue and Disaster Management Department, Government of Sikkim; State Remote Sensing Applications Centre, Sikkim State Climate Change Cell; Urban Development and Housing Department, Government of Sikkim; Water Security & Public Health Department, Government of Sikkim; Transport Department, Government of Sikkim; Gangtok Municipal Corporation; Department of Geography, Sikkim University; Department of Geology, Sikkim University; United Nations Development Programme (UNDP), Central Water Commission (CWC); Indian Meteorological Department (IMD) and local NGOs such as SaveTheHills and Helping Hands. Shri Alok Kumar Srivasatav, Chief Secretary, Government of Sikkim was the Chief Guest of the event. In his address, Shri Srivasatav expressed the need to shift from previous response oriented approach to disaster management to mitigation focussed efforts. 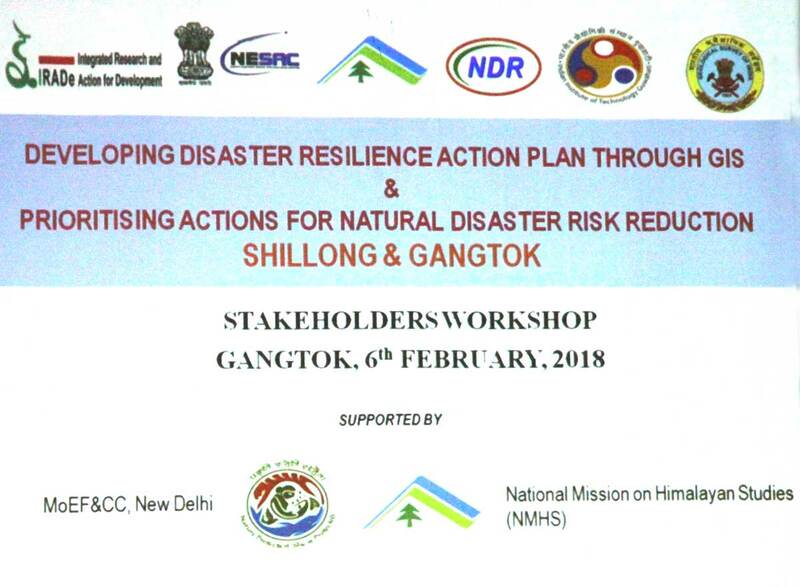 He was glad to know that this was the first stakeholders’ workshop related to disaster management of Gangtok taking place in the city. 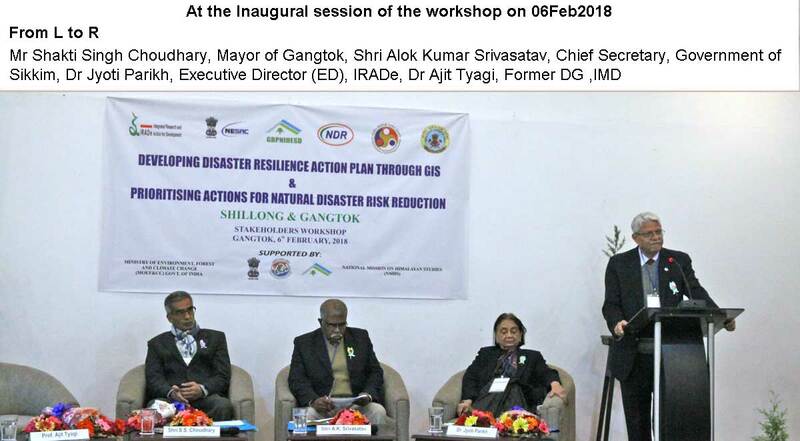 He emphasized the need to adopt new technologies such as remote sensing and Geographic Information System (GIS) for developing disaster resilience policies. He assured full co-operation from the state Government for the project. 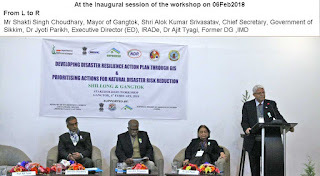 Dr Ajit Tyagi, Former Director General of Indian Meteorological Department (IMD) and presently Senior Advisor, IRADe in his welcome address emphasized the need to shift from reactive approach to disaster management to proactive one. 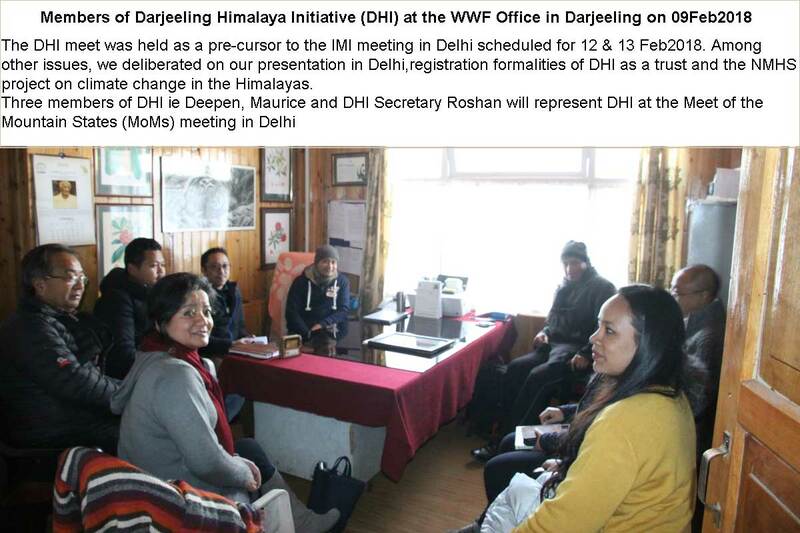 He praised the efforts of Sikkim State Disaster Management Authority (SSDMA) in this direction. He stressed that engagement of civil society, Govt. officials and other stakeholders is necessary right from the very beginning so that the outcomes of the project are successfully implemented. The present workshop is an effort in this direction. Dr Jyoti Parikh, Executive Director (ED), IRADe, highlighted the contributions by IRADe over the years in the Indian Himalayan cities. She presented the various reports published by IRADe documenting the rapid vulnerability assessment done for various Indian cities. Shri Shakti Singh Choudhary, Mayor of Gangtok city, in his opening remarks, thanked IRADe, GBPNIHESD and NESAC for organizing the event. He added that the city has learned a lot since the 2011 earthquake and now there are more efforts being taken by various organizations for developing disaster resilience in the city. He welcomed the project and asserted that the organizations involved should also support in developing other city level plans for overall development of the city. Be Job ready with FLIP’s industry recognised courses for corporate finance course and online finance courses with certificates. List of courses available to choose from.